Filming my lifts with my Smartphone – My Journey to Godliness! One of the useful tools that I discovered to be extremely helpful in my lifts is the camera. Filming yourself doing your lifts can be helpful so you can see what are the things you are doing wrong or right and improve upon it. There are times when I thought my form was good and after viewing a recording of myself doing the lift I noticed how horrible my form and technique was. Then of course there are also some days when I thought my form was awful and it ended up being one of my better lifts! 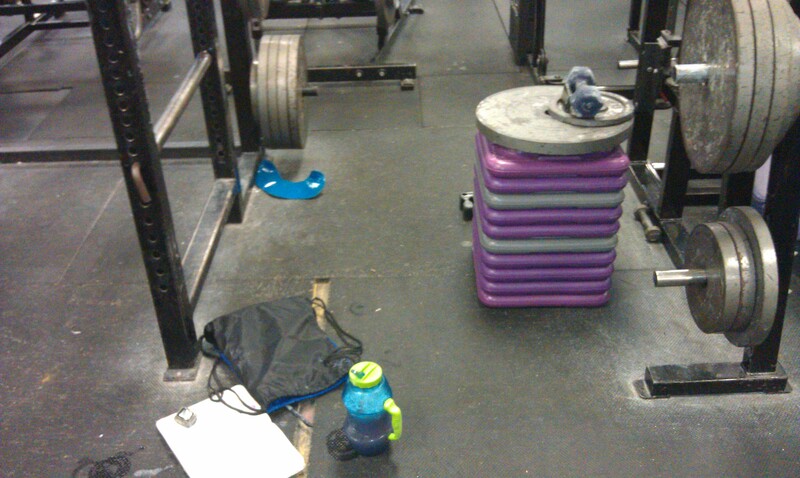 So it is a good tool to have, specially if you train by yourself like I do. You can review your lifts and see what worked and what needs to be fixed. What I have been using is my old smartphone. 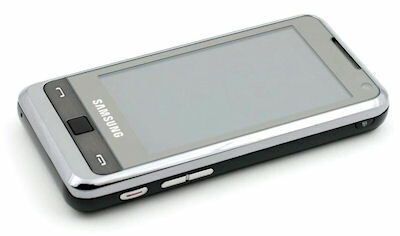 At this time it is my old Samsung i910. What I tend to do now is film myself while doing my lifts and then edit and upload them in YouTube when I get home from my workout. I then try to see what I did right/wrong and find out what I need to do to improve myself. Considering that I workout by myself most of the time, I need to figure out how to film myself in a decent angle. 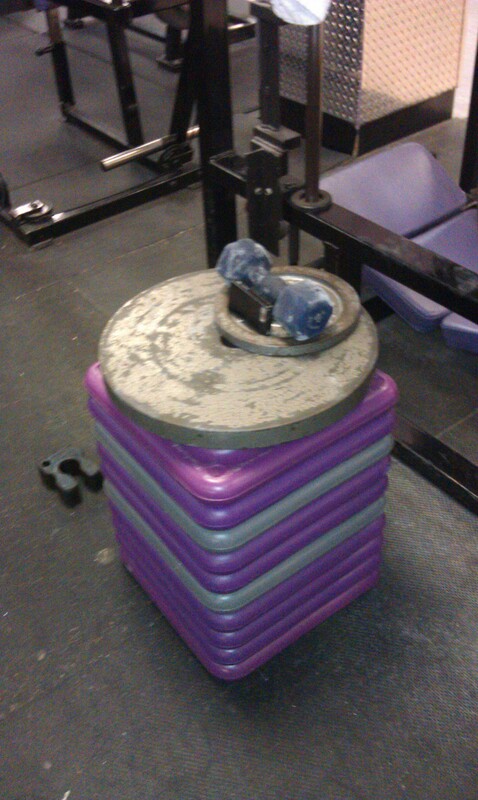 What I been doing is putting my phone leaning on a dumbbell while on a stack of things I find at the gym. 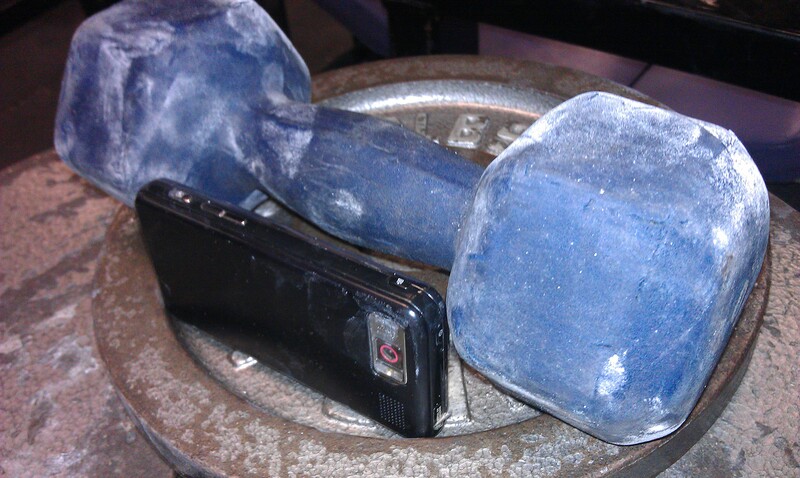 This is how I lean my smartphone on a dumbbell. Stacking helps get the camera on a decent height for filming. Another angle of how far the camera is from the power cage. So that is about it. 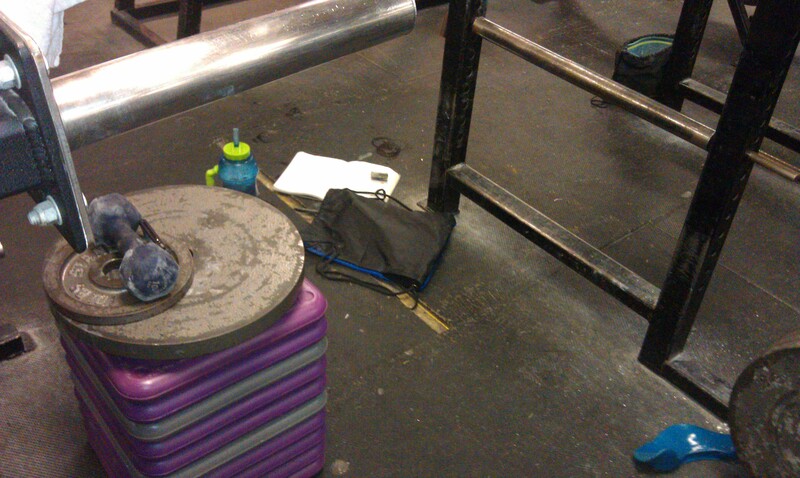 Just another useful tool to have when you lift. I see, that looks fine but in my gym that´s not possible. Did you already try the magnetic? I did not receive it yet. I will try to post my review about it once I get it in the mail. I read in some reviews that the suction cup attachment needs some special attention to work properly.